Members of Ogun state House of Assembly fingered in the alleged misappropriation of N13 million funds for Ewekoro constituency project are currently undergoing intense interrogation with the operatives of Independent corrupt practice and other Related offences Commission (ICPC) which had summoned them to that effect. One of the lawmakers, Honourable Adekunle Adegboyega who reportedly went underground after being summoned and later resurfaced was grilled by the operatives for more than 6 hours during which he was confronted with allegations of financial impropriety levelled against him on the constituency fund. However, the Oyo state office of ICPC had asked three contractors linked with execution of the constituency project at Ewekoro to appear before its operatives on October 23, 2009. The contractors whose companies offices are located in Ogun and Lagos states include, Arklor Nigeria limited, Olayinka &sons And Royal Estate Limited. The summoning of the contractors, according to ICPC, is to aide the ongoing investigation of allegations levied against Adegboyega in a petition earlier filed before the Commission..
His personal assistant, Mrs Akewula Mariam who was also fingered the Constituency Project scam was said to have earlier reported at ICPC office in Ibadan where he reportedly gave useful information in connection with the N13 million projects fund. In the same vein, the immediate past Clerk of the House Alhaji K. A Lawal, the Director of Administration and Supply, State Ministry of Works, Mr Abayomi Oluwole Sobande who also doubles as the chairman registration of companies committee and Honourable Micheal Fashiku, Majority Leader, had appeared before the Commission's operatives. 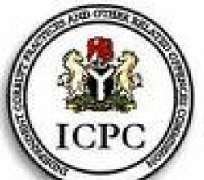 Each of them were said to have provided statement considered useful to ICPC operatives who have been investigating the scam. The Accountant of the Houses, Mrs Agnes Alawode was also said to have furnished the Commission with all the relevant documents including payment vouchers with which the funds were disbursed. Meanwhile, the Commission has requested for assessment report on constituency projects of all members of the House and the particulars of all companies that handled each of the projects. Investigations into constituency project in Ewekoro was prompted by a petition written by a concerned member of the constituency to the Commission and filed before the ICPC early in the year. The site of the projects which include two numbers standard boreholes at Owowo market ward 9, Asa-Yobo ward and provision of electric concrete poles from Oke-Lemo via Abule-Odo to Wasimi-Alafia village had been visited by ICPC operatives who ascertained the level of completion.